Paul George (left) in his no-contact red penny said he believes he’ll be ready to go tomorrow night. The weight of the world and resulting slumped shoulders of the Indiana Pacers are gone, replaced by smiles, banter, and a bounce in their step. For a long time during the last third of the regular season and the playoff series against the the Atlanta Hawks and Washington Wizards, the Pacers looked like playing basketball was a chore. There were occasional moments of enjoyment and positive results like March home games against the Chicago Bulls and Miami Heat, but the overall disposition of the Pacers players was sour. When the much hoped for rematch of last year’s Eastern Conference Finals materialized as expected, the clouds parted and smiles returned. After punting Game Two of the Eastern Conference Finals Tuesday night against the Miami Heat to allow the series to be evened at one game apiece, I wasn’t sure what I would see at today’s practice at Bankers Life Fieldhouse. Would the shroud of gloom re-deploy, or would the glee remain? Scowls or laughter? Laconic and slow or enthusiastic and brisk? Which would it be? He said that all symptoms of his first-ever concussion have been gone for two days, and that one thing he learned is to keep information about a black-out between himself and the training staff next time. Lance Stephenson continued to make three-pointer after three-pointer during after practice shooting, yelling either “making ’em all,” “Can’t miss,” and “all-day long,” before each effort. By my count, he made 18 straight before one shot finally rimmed out. David West grinned as he made free throws, and when West is grinning, you know something good is happening. Rasual Butler put on a shooting exhibition of his own, relentlessly dropping threes into the basket with exactly the same arc, distance, and rotation. George Hill agreed to do a one-on-one with me for tomorrow’s “Ahead of the Curve” that was enjoyable. I like Hill, but he is not a huge fan of talking to media other than Indianapolis Star columnist Bob Kravitz or ESPN’s Mike Wells. I don’t blame him. I wouldn’t be thrilled about talking to media either, but when you ask Hill a reasonably good question, he comes with a well-thought out response. This did not look like a group that believes anything but good is coming to them tomorrow night or beyond. They weren’t cocky, but they sure weren’t tight either. What that translates to on the court tomorrow night is anybody’s guess, after all LeBron James, Dwyane Wade, and the other guys aren’t likely sweating what is now a best-of-five series with three at home. It’s been almost three years since the Heat allowed a team to excuse them from the playoffs before they lifted the Larry O’Brien Trophy, and their thirst for a third is as strong as ever. 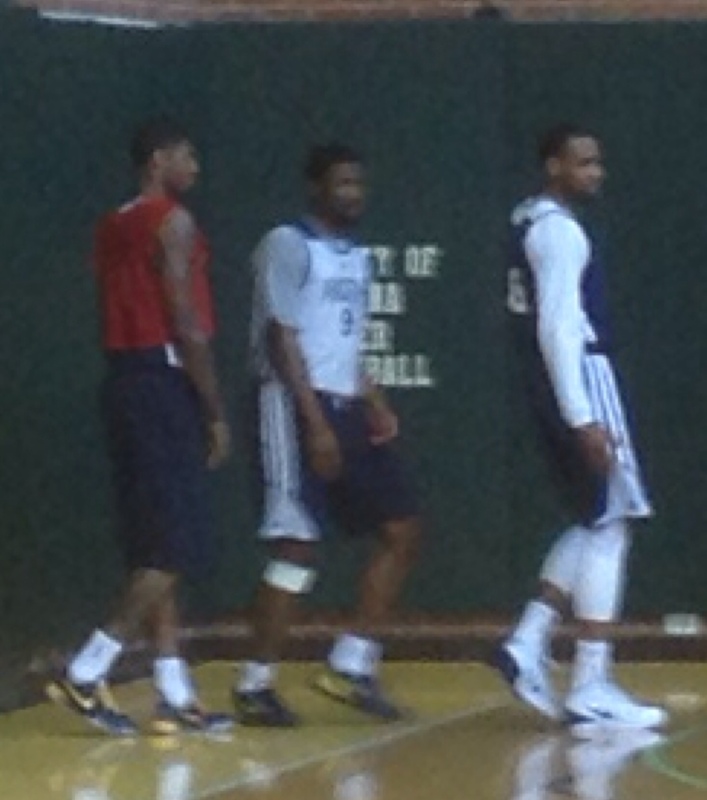 But the Pacers appeared to behave like winners in the first two games and today’s practice. My original prediction for Game Three was a substantial Heat win, but after catching the vibe at today’s practice, I think the Pacers might just find a way to not only win that Game Three but Game Four as well to return to Indy for a clinching Game Five. I still think the Pacers win in seven, but the Pacers did not look like a team that felt this series would mark the end of their season. If the SS Pacers took on water Tuesday night, the crew sure didn’t look concerned about it today. They appeared to know something the rest of us don’t. 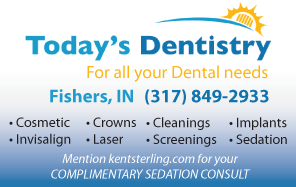 This entry was posted in Featured Story, Indiana Pacers, NBA and tagged Dwyane Wade, Paul George concussion, will Paul George play on May 23, 2014 by Kent Sterling.